It’s a rock music lover’s dream in Vegas this weekend. 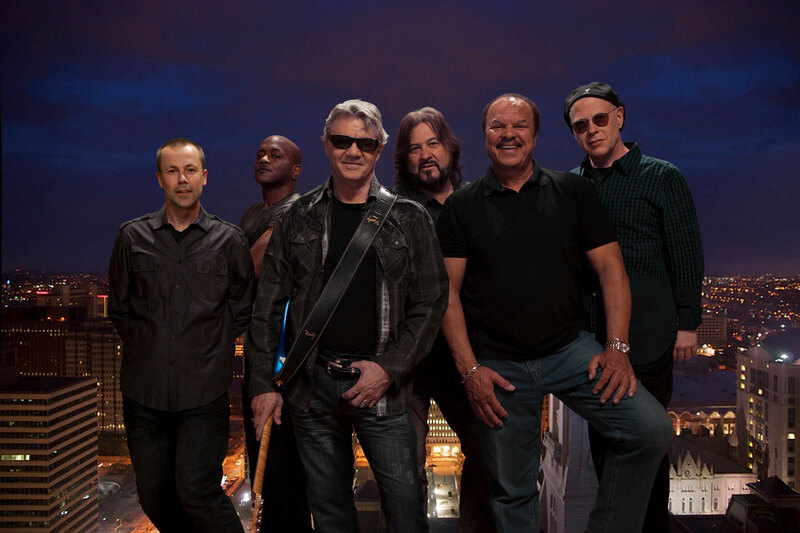 Two popular classic bands – Rush and Steve Miller Band will be playing shows. If you’re looking for other entertainment, there’s comedy and plenty of nightlife to keep you busy. It might not be the fight of the century, but we’ve also got a pretty good boxing match going on at Mandalay Bay. And you can wash everything down with tequila specials this weekend during National Tequila Day or throw one back at beer festival at SLS Las Vegas. T & T’s Chonga. Photo courtesy of Tacos & Tequila. To celebrate this excuse… cough, cough … national day of celebration, you should probably go to a place with “tequila” in its name. Tacos & Tequila (T&T) at the Luxor will celebrate with El Jimador tequila flights. They feature three pours of El Jimador tequila including Blanco, Reposado and Añejo, priced at $15. 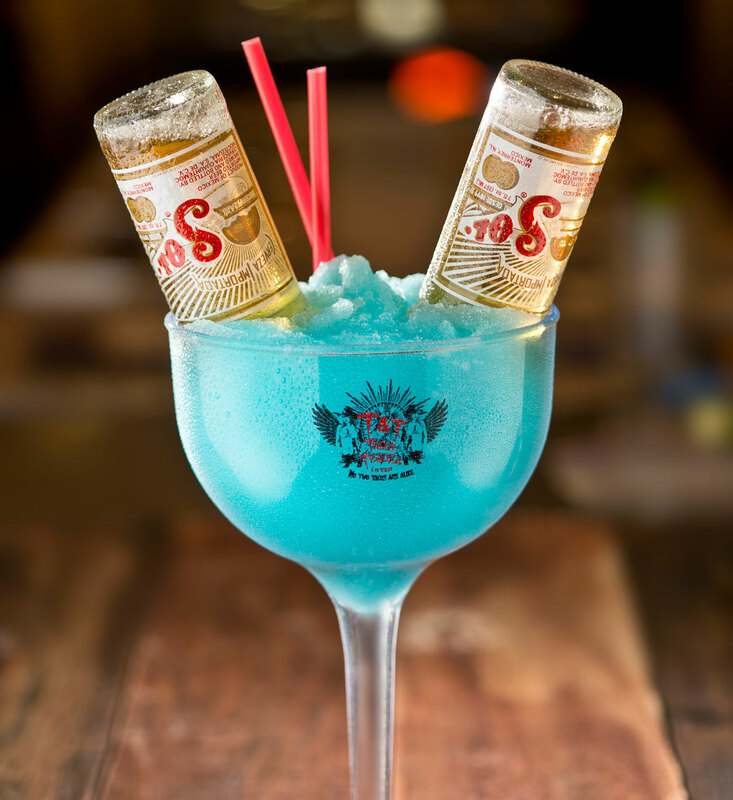 If you’d like your tequila in margarita form, there’s T&T’s Chonga, a giant frozen margarita served with two upside down 7-ounce Sol beers flowing directly into the drink, priced at $25. Cabo Wabo Cantina, located inside Miracle Mile Shops at Planet Hollywood Resort & Casino, will celebrate with a whole week of specials from Monday, July 20 to Friday, July 24. You can add an extra shot of tequila to any cocktail for $5. Signature tequila cocktails include the newly introduced Chi-waa-waa, a summery blend of Cazadores Blanco tequila, Midori, Jarritos Mandarin soda and fresh fruit juices, priced at $14; and the CW Margarita, a classic blend of signature Cabo Wabo tequila and Grand Marnier; priced at $13. Tequila isn’t the only alcohol being celebrated this week. Like beer? Like music? Get yourself over to Foxtail Pool July 25 for the Vegas Beer & Music Festival. 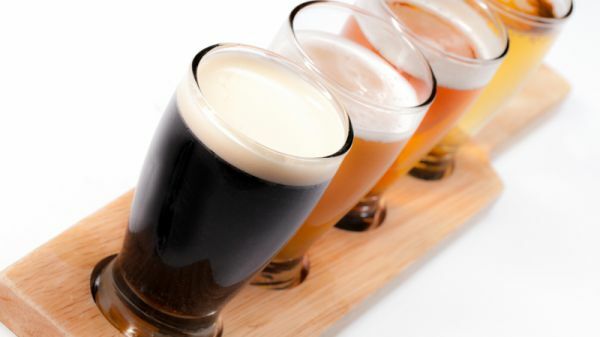 Rock Star Beer Productions teams up with SLS Las Vegas to deliver unlimited samples of more than 50 craft beers available from 7 – 11 p.m. There will also be food and music from Hoobastank, Alien Ant Farm and P.O.D. Guests will also receive complimentary access to Foxtail Nightclub for an after-party — all while benefiting the Beverage Management Club at UNLV. Tickets are $49.50 and up. Steve Miller Band. Press photo courtesy of Steve Miller Band. Seventies and ’80s music fans, get ready to rock. Two of the biggest bands of that era will be hitting Vegas stages this weekend. Both shows are on July 25 at 8 p.m. so unfortunately you’ll have to choose just one (unless you have time-bending super powers we don’t know about. If you do that’s cool). The Steve Miller Band performs hit songs like “The Joker,” “Fly Like An Eagle” and “Take the Money and Run” at The Joint at the Hard Rock Hotel. David Alan Grier and Tommy Davidson. Press photo courtesy of Treasure Island Hotel and Casino. 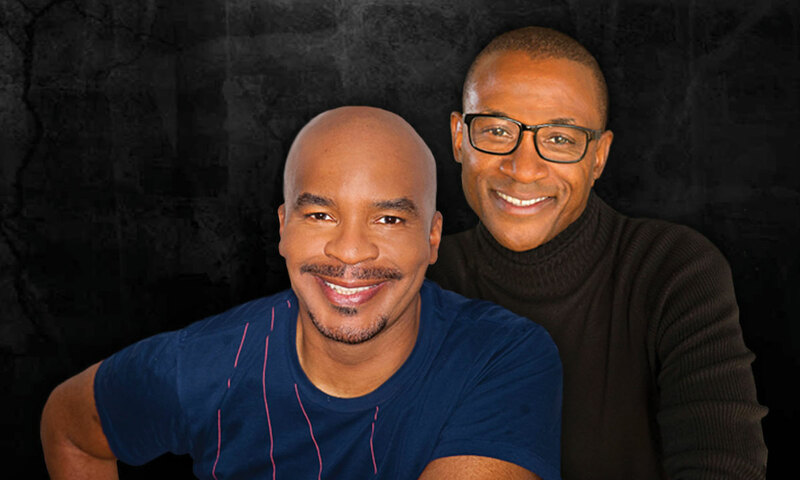 David Alan Grier and Tommy Davidson will have audiences in stitches during their co-headlining gig July 24 at Treasure Island. The duo, famous for starring on the sketch comedy TV show “In Living Color,” both have impressive comedy resumes. Nadjib “Irondjib” Mohammedi will be taking a swing at Sergey “Krusher” Kovalev’s three world title belts on July 25 at Mandalay Bay Events Center. 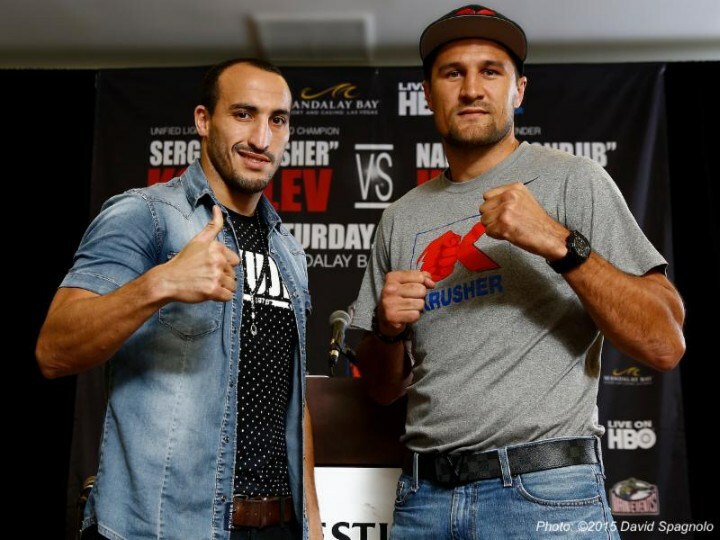 In the fight, Kovalev (27-0-1, 24 KOs) – the undefeated unified WBO, WBA and IBF Light Heavyweight World Champion – faces his first IBF mandatory contender, Mohammedi (37-3, 23 KOs). 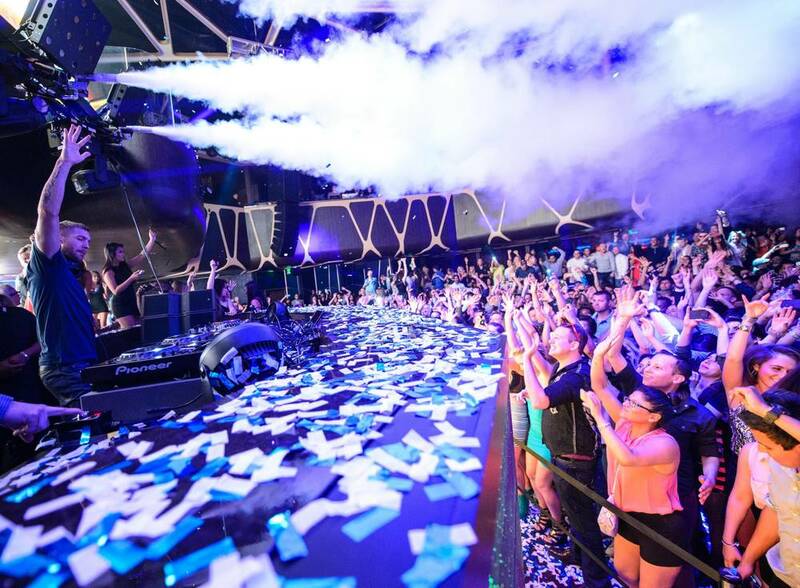 Superstar Scottish DJ Calvin Harris will be spinning at Hakkasan July 25 in the main room. Maybe you’re from the Fresh Prince era and prefer some hip-hop beats. Head into the Ling Ling Room at Hakkasan for DJ Jazzy Jeff. Want something completey different? Grammy nominated musician Joe Jonas will be delivering a guest DJ set over at Hyde Bellagio on July 25 featuring his signature blend of urban beats, electronic house and R&B.